It is all that matters, friends. ALL THAT MATTERS. Is that you have + KNOW Jesus. That Jesus KNOWS you. In the light of eternity, that's it. So simple, so profound, so true. For a while, around the beginning of this year, I was on a role with posting my goals. Y'all may have noticed that I have discontinued that. Its not that I've stopped setting goals. I'm still a huge fan of goals and spending time wisely. But I've just stopped posting them. I realized (after being challenged by a dear friend/mentor) that my motive in posting my goals was to prove that I was accomplishing things. I felt the need to prove that even though I was traveling + touring with my family, I was still getting a lot done and working hard. I was feeling such a need for affirmation in my work. This has always been one of my weak areas. I get so driven by my work + finding my identity in what I accomplish. It is so wrong. So backwards, and so messed up. And I'm learning that you can't find affirmation in your work. In your job. In your life. The only place that really matters for affirmation...is affirmation from Jesus. That's all I need; that's all you need. Aw, such sweet and wise words! I love hearing what you're learning! Jesus + nothing= true gospel. Love you, Chels! thank-you for letting Jesus use you to challenge me in this area + be that mentor to me. Great thoughts, Chels! 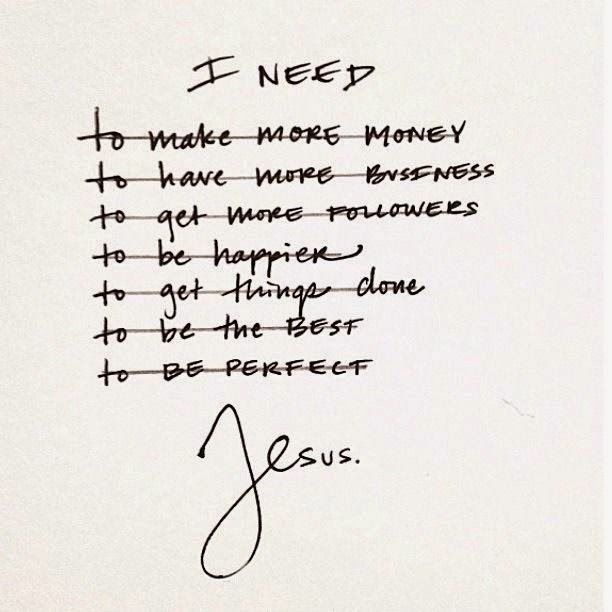 It is so true that Jesus is all that we need! Thanks for your willingness to be so real/open/honest, Chelsy. Even though your goals posts were really encouraging to me, I totally respect you for seeking to follow Him with this decision. Love that quote from MTH, too. Oh my, yes, so thankful that Jesus satisfies! His faithfulness is overwhelming and blows me away again & again. I was convicted once again while in Galatians 1 earlier this week: "For do I now persuade men, or God? or do I seek to please men? for if I yet pleased men, I should not be the servant of Christ." (verse 10) and Colossians 3:23 is super convicting to me, too: "And whatsoever ye do, do it heartily, as to the Lord, and not unto men." Thanks again for your beautifully honest, convicting words, Chelsy! Miss you! Oh honey, thank you for being so transparent and honest with you! Vulnerability is NOT easy! We all have issues, so you are not alone. Jesus is so good to show you these issues and to help you to move past them. Love you!!! I was so encouraged by what I read on your blog. I wish I had visited it sooner. This post was on a topic I'd been thinking a lot about lately and was considering posting on my own blog. I was blessed by what you shared. It's so encouraging to see other girls who are passionate about their Savior! --Hannah K.
Wonderful thought! I've been struggling with a challenge along a similar aspect... but my case was with finishing things! I'd fallen in the bad habit of starting a project and leaving it unfinished because I became enthusiastic with a different project, and soon that loss of interest and incapacity of staying focused on one thing affected other areas in my life! I challenged myself to finish off everything I'd started and am still working on it, but this thought put me right back into the proper place and correct perspective about it! He is the reason, not self-accomplishment! Thank you again Chels. I don't need to be (and can't) be perfect. I will never be the best at everything I want to be. But Jesus is enough. He will truly satisfy. He is far, far more than I will ever deserve. And he loves me. He is what I need. And this post is what I needed to hear right now. Keep pressing on! It's so true. Thanks for the reminder. Interesting timing...lately after hearing a sermon at church I have been thinking about the verse "that I may KNOW HIM" and about what it means to really know Him. That is what I want. This is raw + beautiful. Thank you for sharing your heart. May you be poured over with God's grace! I was wondering if I could possibly have the words to the song Another Godly Man? Did you buy it or write it? If you bought it could you possibly tell me where I could find it? I have looked all over for it and can not find it. I have 10 amazing siblings! 7 brothers and 3 sisters! My oldest brother is 20 and my youngest brother is 7 months. Our family has attended the Turning Hearts Celebration the last two years and really enjoyed and appreciated it. We heard the song done by some friends of ours. They got it from a friend of theirs + we obtained permission from her to sing it. You can get the lyrics on the lyrics page of our "Salt + Light" cd. Thank you for sharing this! 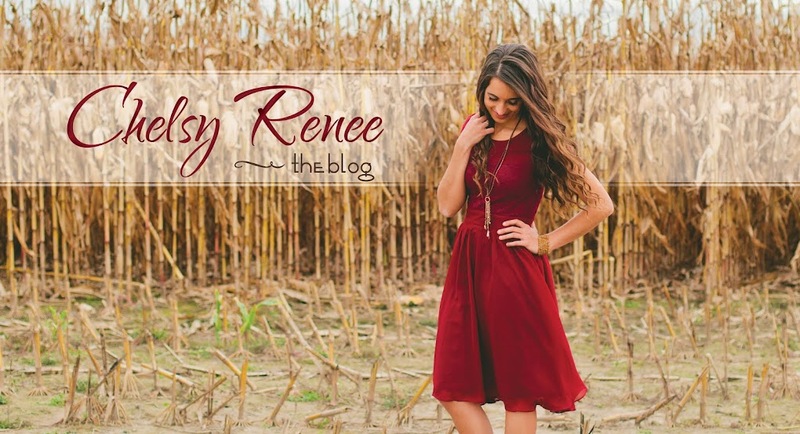 I love it how you are so real and down to earth with your blog posts! It is so encouraging how humble and honest you are! This especially spoke to me and definitely encouraged me for right now in my life...it is so true that all I need is JESUS in my life! He will only be the ultimate fulfillment and complete satisfaction in our lives! Thank you for sharing this! You are correct! My brother Hudson is on the Game Show which aired tonight! You can watch it online, I believe, even if you don't have TV. Try searching Bible Bee Game Show. How is the Bible bee game show different than the Bible Bee or is it the same? It is totally different. Different format and location too. But both are memorizing the Word. are you getting an instagram? what's your IG user name? will your family have an IG? I don't have it yet. And it will probably be private when I do, sorry! No, my family won't have one. So awesome! And very encouraging! Thanks for your transparency. Reminds me of the words of a Puritan prayer put to music: "All that I need is in you, Jesus, a fountain of grace that overflows. All that I need is in you, Jesus, you are my only hope. You are my only hope. In you is fullness of gladness. And fullness of grace for every need. Rest for the onea who are weary. And beauty surpassing all that we've seen..."
So you deleted your comment huh? Yes, I did..I felt so bad for misunderstanding you. I'm sorry; I should've posted an apology. Are you angry or something? AMEN!!!! wonderful! that is the truth!